Are you moving to a new location and have concerns about childcare? As Concord Real Estate Agents and Homeowners, we understand that moving to a new location can be exciting and overwhelming all at the same time. We know that there is more to just choosing the PERFECT home, for instance, you might be worried about what schools are close to home, what parks are nearby, and also what your options for childcare are, we have come up with a list of questions you might want to ask when choosing your next daycare provider, near your new home! Coming from our Real Estate Team, whom the majority of them have children, would agree that having the right childcare is super important! You may have expectations for your child’s daycare and we have come up with some of the most important things to look for in a daycare provider. One super important thing to look for would be the curriculum, you want to make sure your children are being taught something and not just being couch potatoes. Secondly, look for a place that offers childcare for certain age groups, for example, one of our Real Estate Agents has three little ones under 5, we would want to look for a daycare that is tailored more for younger children than older children. Another thing to look for when choosing a daycare is to look for cleanliness! You want to make sure that your kids are in a clean environment for the sake of their health, one way to do this is to ask for a copy of their license and inspection history. 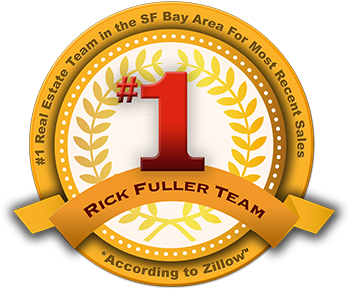 Some of our Rick Fuller Team members would prefer a smaller intimate daycare, where their children can get the one on one attention they need. One really important thing to remember is the time frame of care for your child and noting the hours of operation for the daycare provider you choose. Also, ask if they provide a lunch or if you will need to pack a lunch. If they provide the lunch, we would suggest asking what that looks like, so you can make them aware of any allergies or needs for your child. Don’t be afraid to ask a million questions! This is where your child will be for a good amount of time throughout the week, they are your babies, and you want to make sure they are loved and well taken care of, ASK QUESTIONS! If they don’t answer, then you might want to look into another daycare. Hopefully, this blog has calmed some of your nerves, Happy Daycare Hunting!